I Know You LOVE Digital Curriculum! Of course you do! You wouldn’t be here if you didn’t. Little Learning Lovies has a blast creating new and interesting supplements to spice up your learning and we have a brand new game for you today for your little learners. You hide the puzzle pieces inside a few random pockets. Then lay out all the pockets face up on a flat surface. Kids point to whatever pocket they’d like and answer the question on the front (more on that in a minute). If they answer correctly, they get to check that pocket for a puzzle piece. If they find one, they add it to the puzzle. Game is over when the puzzle is complete. You can get your copy of this alphabet game in our new shop right now. And best of all, it’s “Name Your Own Price”! You COULD enter “0” and pay nothing at all. Of course, my family and I would deeply appreciate even just a dollar or two for the time we all put in together to create these games for you, but we really want this to be a blessing to your family and never want finances to get in the way of a little fun! ♥ If you enjoy playing it, please come on back and leave a review! Have a fantastic day and ENJOY! Previous Post NEW For YOU! 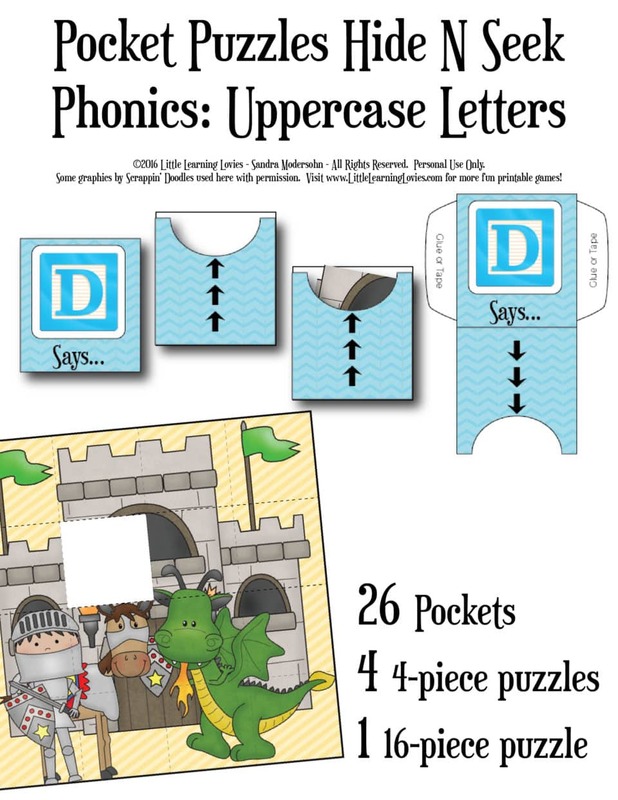 Hide And Seek Pocket Phonics Game Next Post Love UNO? Practice Sight Words While You Play!